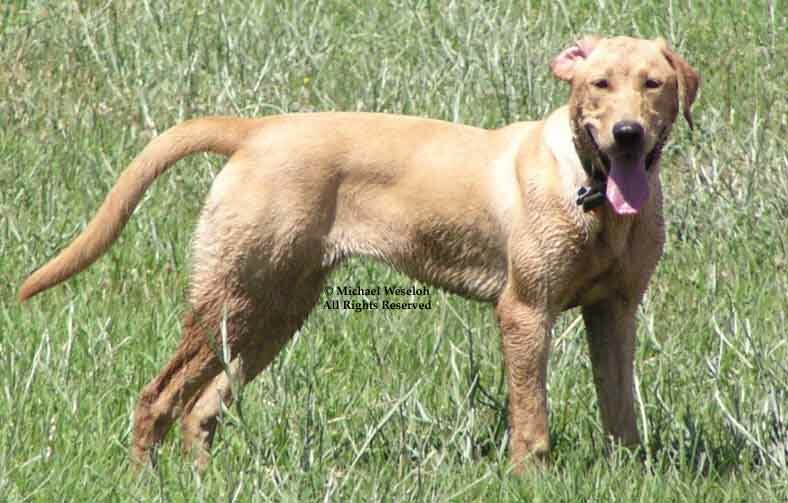 We strive to breed and raise mild tempered, easy to be around labs that enjoy life in the home, but love life outdoors! 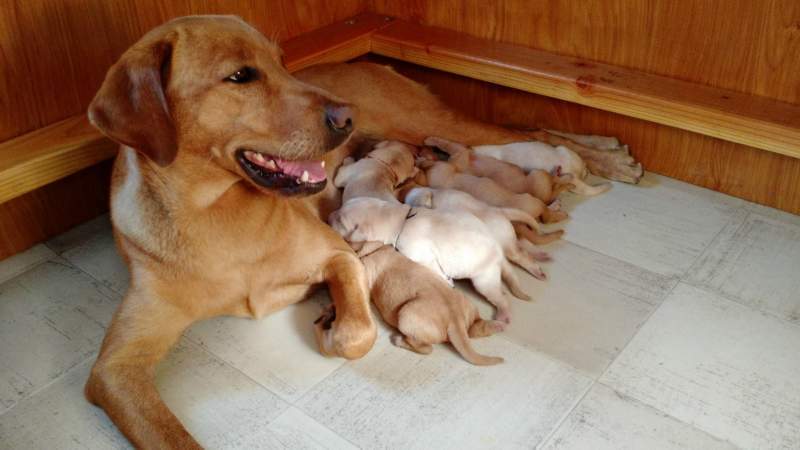 Our third litter whelped on August 5 and 6th 2015, between Foxy-n-Scooter's Little Miss Forget-Me-Not (Little Miss) and CPR Sam's Creek Boy King Josiah (Joey). Our goal for this litter was aimed at enhancing the pointing and trainability of the pups. Of the seven pups; four headed for the field to hunt and reports are they are doing great; one went to live with her aunt (a puppy from our second litter) to follow in her footsteps as a K9 Drug and Explosives detection dog and the other two are extreemly well cared for living the life of luxury in central California and soon Washington DC! Our second breeding, between Foxy and Scooter, was aimed to meld the extreme desire and intellegence of the two lines into an awemsone litter of pups! These pups have all excelled in their training weather on the field, on the pond, in the ring, or as a service dog. Our first litter mated our very high desire, high drive Flying lady Foxglove (Foxy) to the mellow, yet driving Willsons Duke Rijae Hall. Our desire for this litter was to produce dogs that are mellow and a pleasure to have in your home or playing with your young children, yet work their tails off for you. We are a home based breeder dedicated to breeding and raising high quality, high desire, high drive labs in a home environment. 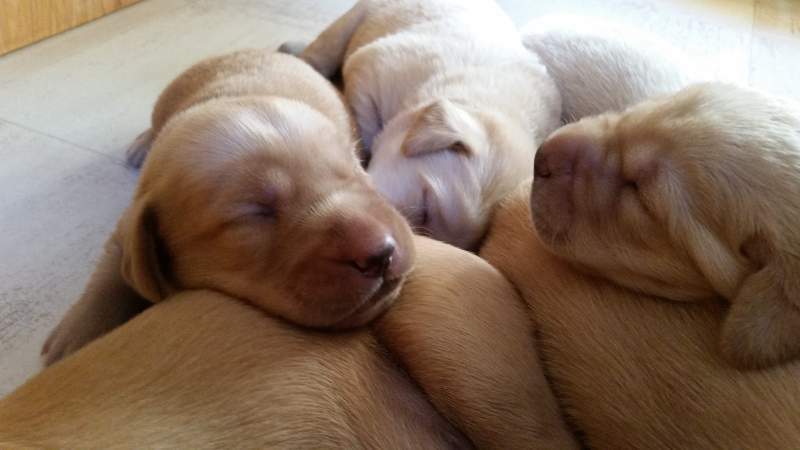 Our pups are showered with family love and affection for the seven to eight weeks they are with us. Additionally we work with them as soon as they are ready to start exploring the land and water as they look for wings and other items to set them on their way to being excellent working dogs.